If you haven’t noticed it before, the Toyota GT86, The Subaru BRZ & Scion FR-S looks almost exactly the same. The truth is, that these cars are actually the same car from the beginning with a few design changes. So which car is the best of these cars to buy? The similarity in their exterior design does not necessarily follow in the interior or in the engine compartment but we will take a detailed look at both cars in this article. Take one look at both these cars and you will see that except the front fascia everything else is visually the same. The Toyota 86 has a sportier look with a honeycomb style grille, angular fog lights, and prominent daylight LEDs. The Subaru BRZ has a bland front-end with a U-shaped grille and a black lip to hold the registration plate. The side indicators are also differently placed in each car however the central idea is the same. The interior inside both vehicles is filled with all the modern amenities. Both Subaru and Toyota have made use of leather and other soft materials in the interior of their cars replacing plastic in most places. In terms of space, the 86 and the BRZ are perfectly aligned; in that, they have ample front-row space while the rear passenger seats are cramped together. You would enjoy driving them if you are the driver or sitting in the front seat as the passenger. If you intend to seat yourself in the rear even though you are a tall person then there is bad news for you. The BRZ goes one step ahead of the 86 in terms of luxury as it offers luxurious seats with Alcantara inserts. The Toyota 86 has fabric on its seats. The dashboard in both these vehicles is filled with the latest technologies. You will get satellite radio, Bluetooth connectivity for music and calls, a rearview parking camera and a comprehensive 8-speaker audio system. Navigation can also be accessed through the LCD screen found on both the BRZ and the 86. The screen in the BRZ is smaller at 6.2 inches while the 86 has a 7-inch touchscreen installed. Unfortunately, both cars do not have Android Auto and Apple CarPlay, so you are left hanging in that department. The Toyota 86 and the Subaru BRZ are classified as sports cars, so it is natural to assume that they go fast and really fast indeed. 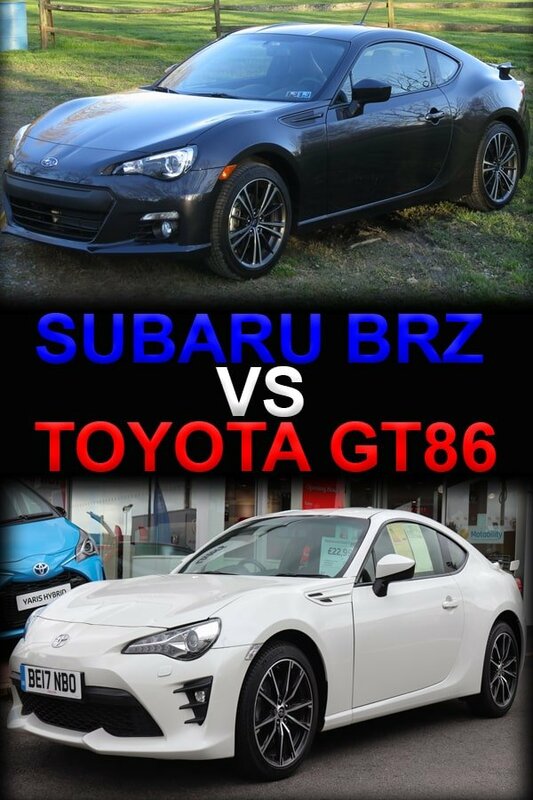 Both the cars have similar performance figures but the BRZ has a slight advantage over the 86 in the engine department. Under the hood of each car is a 2.0-liter four-cylinder boxer engine usually found in Porsches. This engine is connected to a six-speed manual or automatic transmission to produce 205 horsepower and 200 horsepower respectively. Power goes straight to the rear- wheels which are balanced well thanks to the hard sports suspension. Toyota gives buyers the choice of opting for the Toyota Racing Development (TRD) package that enhances the handling of the 86. 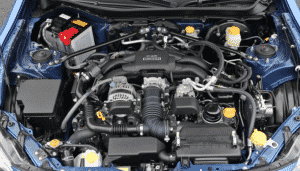 Subaru, on the other hand, has better power delivery and control straight from the factory. Brembo brakes are also installed to help stop the vehicle abruptly in emergency situations. 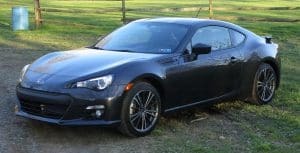 Both the BRZ and 86 have the same warranty periods. Warranty is the most important aspect to look at especially when you are buying a brand new car. It helps you to keep your car fresh and new. With the 86 and BRZ you will get a 3 year/36,000 miles warranty (whichever comes first) for both cars. The powertrain is separately covered by a 5-year/ 60,000 miles warranty. However, the Toyota 86 has the upper hand over the Subaru as it is more reliable and safer. The BRZ does not get a good safety rating when compared with the 86. Owing to similar engine specifications, both the cars have similar fuel economy. However, Subaru has been able to extract more fuel efficiency from the BRZ. The manual BRZ – has a 21 mpg city and 29 mpg highway rating. The manual 86 – on the other hand has a 21 mpg mileage in the city while 28 mpg on the highway. Automatic models also have similar ratings. The Toyota 86 gives 24/32 mpg while the Subaru BRZ gives 24/33 mpg fuel economy. 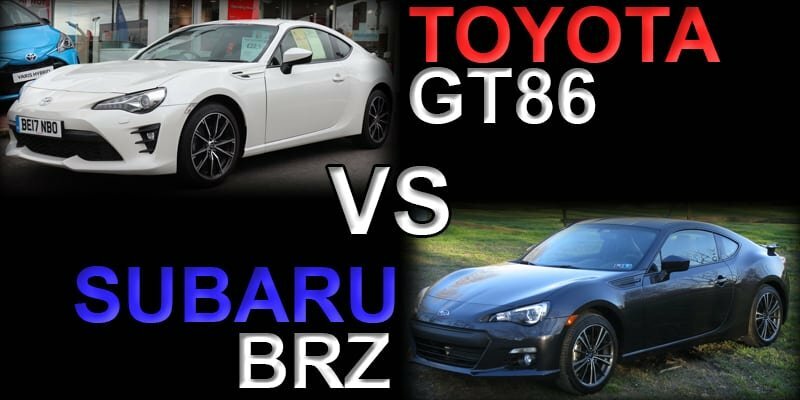 If you are looking to drive in the city the 86 or BRZ are both favorable however if you are looking to drive more on the highway the BRZ is a better option. Although the difference is minute, on long runs it can make a huge difference. We have shed considerable light on both the vehicles and it should be clear now that both the cars are absolutely the same except for some minor changes in each. It is strange how both cars coming from different manufacturers have similar characteristics. However, this is not the first time it has been done. Japanese manufacturers have copied each other’s designs in smaller cars. Daihatsu, Toyota, Subaru, and Nissan have previously copied each other’s exterior and interior designs. The fact is that it’s cheaper to purchase an already existing model from another manufacturer, than designing it yourself. But what should you buy if both cars are exactly the same? Well, the answer is simple – Do whatever suits you. Maybe you are a Toyota brand loyal or a Subaru loyal, in that case, you would go for your favorite model. But if looked at logically, the Subaru BRZ is a better choice owing to its better fuel economy and cheaper starting price. 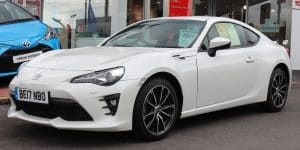 However, if its reliability, style and the Toyota brand name you are looking for then there is nothing better in the low sports cars range than the Toyota 86.